At this summer’s Global Women in STEM conference, top female in tech discussed their own experiences as drivers of innovators. 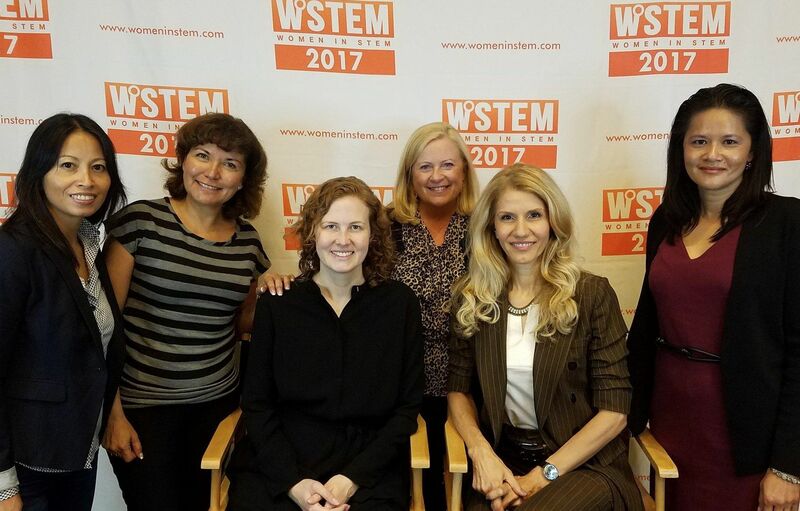 This summer, the Global Women in STEM conference was held in San Francisco. Leaders from Google, Uber, Salesforce, Nokia, and Roblox came together for a Women in Innovation panel, and we’re featuring highlights from their discussion. (If you missed our first post, you can find it here.) Read on to learn about their personal experiences as drivers of innovation. One of the Big Differences Between a Good Idea and Innovation is Execution. Can You Share a Personal Experience Where You’ve Driven Innovation? Azita Arvani, Head of Innovation at Nokia: In my current job, we actively look for external innovation to better serve our customers and reduce costs in general. I always call it an art and science when you bring innovation into a company. The science part is to see if the requirements you have internally match the innovation. The art is that you never find something that exactly fits, so you have to come up with creative ways to make these things fit together. That part requires evangelizing. After you evaluate the technology, you find the right landing zones in the company. You go talk to these people and make sure that they see and understand it might not fit right away — but also that there’s potential that things can fit. Then you move it forward from there: you do a proof of concept, and after that do more evaluation. If everything works out, we partner with the company, invest in the company, or acquire the company. So, it’s a lot of science in evaluating, but also art in finding ways to make it work and promoting and evangelizing. Ellie Powers, Group Product Manager at Google: When I was leading Google Play developer products, we looked at innovation through two lenses. The first was if we are trying to attract developers to build with Google Play and the Android platform. How can we use the Google product suite as a differentiator? What can we offer developers that’s new and different, that would make them feel more excited about investing more in the Google Play and Android platform? The second was, each one of these organizations themselves wanted to innovate. If you’re publishing a new game or a new app, there’s over a million already out there. How is yours going to stand out? It all started with a deep understanding of who our customer is, what their needs were, what else was on the market, and what strengths we had at Google that we could use. At the time, early in the life of app stores, you’d publish an update, and then you’d wait for a very long time for your update to be approved. We realized that wasn’t something our developers liked. Could we innovate on that — the simple process of how long it took to publish an update? We offered some different processes to give reviews, but much faster. Developers noticed. They were also desperate for more data about who’s installing their app, where are they based, how to gain feedback. So we launched features to help developers publish quickly and get more information about how their app was being used. We started to see this virtuous cycle. People would get something special from Google Play that they couldn’t get on any other app store. And that would motivate them. They could have tight feature development loops, so they’d want to keep launching again and again. Because we listened to our customers, we knew what they wanted, and they started seeing that Google Play could be a better partner for them. Developers began to get more and more interested. As a result, we were able to start unlocking more features in our platform because we understood developer needs. We were excited that we could create innovation for our own customers, and that they could innovate for their customers as well. Mai Le, Head of Business Platform Engineering at Uber: At Uber, one thing we’re working on is customer engagement. Early on, we’d transport you somewhere, and we’d ask you, “What can we do to support you?” Now we want your experience end-to-end to be delightful. We don’t want to ask if we’ve solved your problem and then end the relationship. We want to say, “What else can we do for you?” And, if we didn’t do something right for you, we want a second opportunity and a chance to do something different. We changed the way our customer support algorithm is triggered, so we know who you are as a customer when you come to talk to us. We should be able to know you took a ride from point A to point B, and it took you too long, or the car deviated from your route. So when you engage with us we can say, “Oh, we noticed your last ride went like this. Is that what you want to talk about today?” By doing that, the customer feels understood, and we learn to make each experience even better. Martha Galley, Vice President, Customer Success at Salesforce: You’re hearing some common themes. Start with a customer problem. Analyze the data and respond appropriately. My role at Salesforce is customer success. Considering it’s CEO Marc Benioff’s highest value, it’s a tall order. As a cloud service provider, you have to earn the right to do business with your customer every single day. There are no residuals. That means their total experience from the moment of “hello,” is a very important experience. When I joined Salesforce almost five years ago, I had no idea what customer success was. It was a fairly new domain, and there wasn’t a lot of information about it or about doing it well. I had to be a student of this business and what we want to achieve. I had no budget, a very small team. And rather than getting a set of business objectives, I had a deadline to launch, which was two and a half months from the day I started with the company. It was a very daunting task. We took an email marketing tool that’s typically used to generate pipeline, and we used it to drive a path to adoption. We identified the critical moments of truth that our customers struggle with in terms of implementing technology. Because we are voracious data consumers, all of this was backed up from data. We inferred what a customer needed to do, we detected what they were actually doing, and then we responded based on the data we collected. So a very small group chose to take on a challenge that changed the way Salesforce did business with small and medium customers. And I’m proud to say that as of today, we’ve created a lot of love at scale. Grace Francisco, VP, Developer Relations at Roblox: At Roblox, we have 62 million active players per month, and our core user is aged 8-18. We have 1.9 million creators—developers, builders, and designers. In the United States, we’re approaching a 50/50 ratio of girls to boys. And these are mostly kids who grew up playing on the platform. Our top developers are in their late teens or early 20s. And some of them are on track to make $1 to $3 million. And these are people who’ve taught themselves how to program. This is a tremendous opportunity to rebuild the developer pipeline. How do we get more diversity in our developer pipeline? You have to start at much younger ages than what we’ve been targeting. Programs at companies are reactive, but they don’t really move the needle that much. You have to start an an age where you can influence kids before they think “Oh, computer science is not for me. Math is not for me.” You have to deliver programs, content, curriculum that’s really engaging for them. At Roblox, I’m driving curriculum that we’re going to give away for free to after-school programs and camps — a fresh curriculum, across the globe, that targets middle school kids and tells them "this can be for you." I’m really proud of that because I really think this is where we move the needle in changing the dynamics of the diversity of our pipeline.